Grab your pj's and pillows - the cousins are coming for a holiday sleepover! But when sleepiness begins to take over, the toys decide it's time to 'liven' things up. Join the merriment with dancing dolls, disco bears, marching soldiers, somersaulting rag dolls, and a special visit from the jolly red fella himself! Discover that it's never too late to start spreading peace and goodwill. 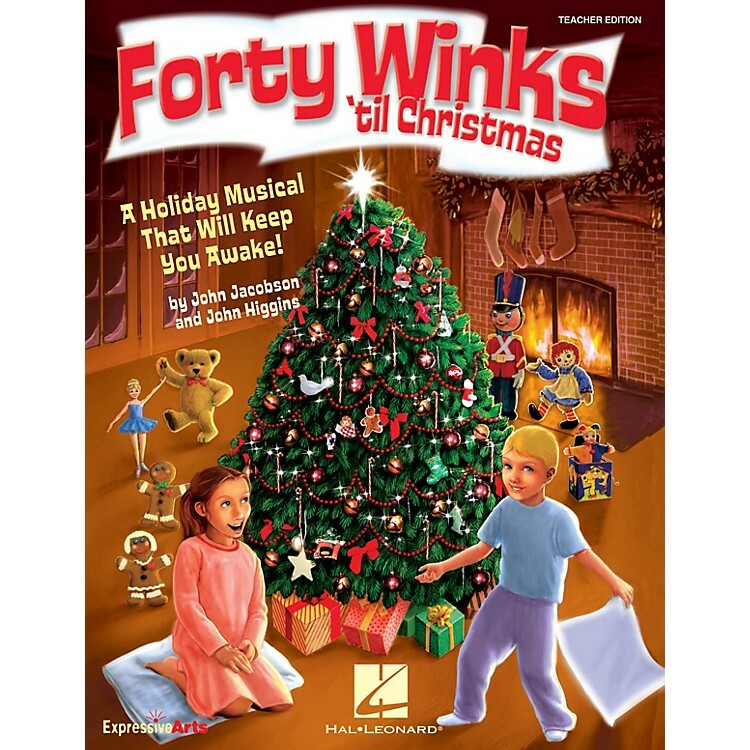 Designed for young performers in the primary grades, this delightful musical features five original songs, clever rhyming dialog easily adaptable to casts of varying sizes, simple movement, and helpful production tips to help stage a successful performance, especially when time is limited. 'Liven up' holiday spirit in your school this December with another spectacular show from the popular writing team of John Jacobson and John Higgins! Available: Teacher Edition, Reproducible Pak (vocals, dialog, lyric sheets), Preview CD (with vocals only), Preview Pak (Prev. CD and sample pages), Performance/Accompaniment CD, and Classroom Kit (Teacher, Repro Pak, P/A CD). Performance Time: approx. 25 minutes. For Grades K-3.